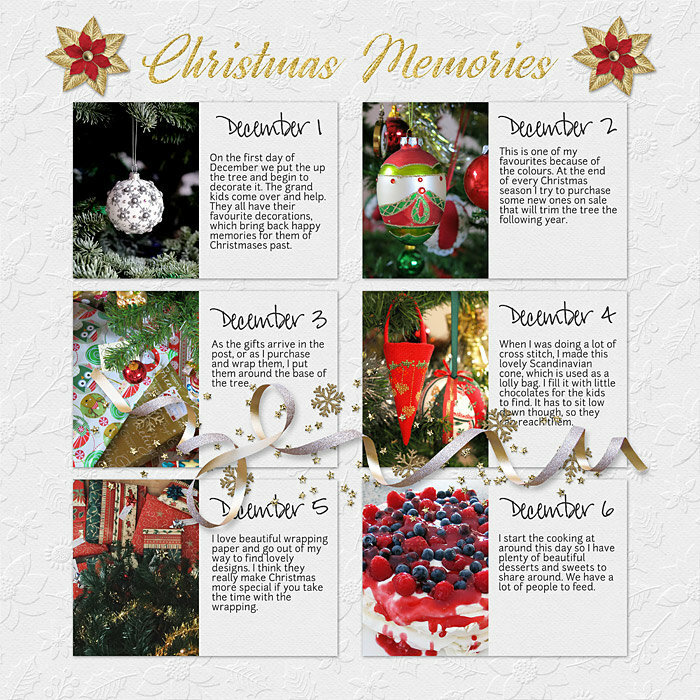 Get your Daily December pages done quickly and easily using my Jiffy Easy Page Album: Deck The Halls. It's a perfect match with my new collection: Deck The Halls. Another lovely page! I especially like the embossed white backgrounds.